Sadly on June 22, 1774, John Day, a carpenter and wheelwright became the first recorded death in a submersible. 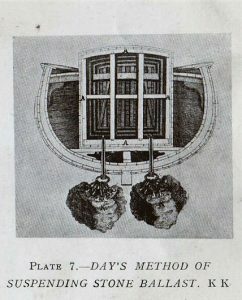 A bet between Day and Christopher Blake, who noticed his submarines before, was the trigger to attempt the dive. Day had previously experimented with other builds where he successfully submerged to 9m/30ft before. He was betting he could stay up to 12 hours at a depth of 40m/130ft. Day overestimated the ballast required to bring down his watertight chamber and sank to the bottom with no hope of rescue.